Entire mass of malignant growth (as far as possible) is scooped out to make the body free from harmful cells; this procedure is called excisional biopsy. 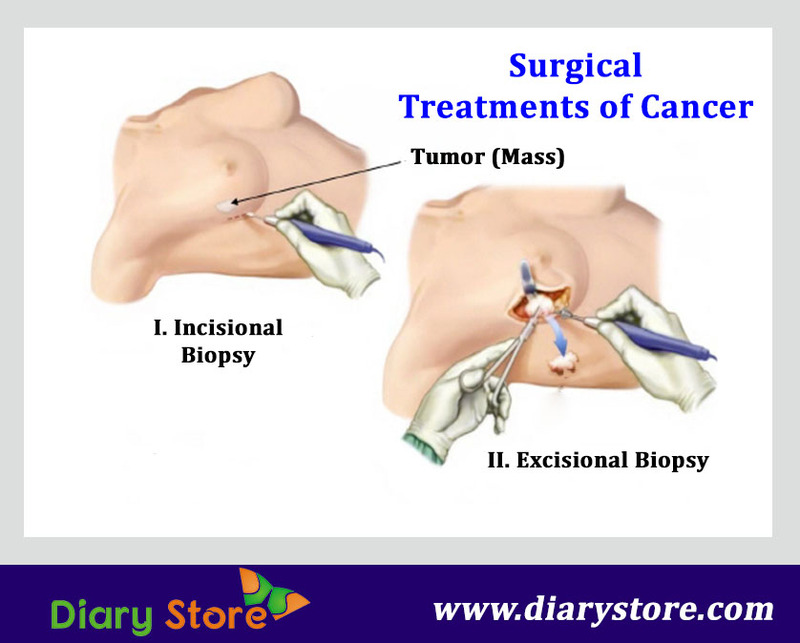 The study on the sample taken out by incisional biopsy enables doctors to understand fully about the type of cancer, the stage or extent of spread and to select and commence the appropriate method of treatment. The specialist who is an expert in making scientific study on the biopsy sample is called pathologist who furnishes crucial information to the surgeon known as oncologist. Pathologist determines the nature of malignant cells to find out the place from where the cancer has originated, the extent of their spread called metastasis and the secondary cells which indicate recurrence of earlier cancer. If the cancer originates in vital organs of the body, total surgical removal of malignant growth is not possible. The primary objective of surgery is to make the body totally free from cancerous cells by removal of the entire malignant tumour. Total surgical removal of tumour may not always be possible depending on the site from where cancer has begun to grow. Surgeons have limitations on the extent of removal since essential parts of the body should not be damaged by resection. Surgical removal, also known as ablation or resection, is always accompanied by the post-operative side effects. In most of the cases, the method of surgery is suggested in combination with other non-surgical treatments which are pre-requisite to make easy the surgical removal. Radiation therapy is also chosen with the same objective of killing, weakening or diminishing the size of cancerous cells by focusing high-intensity X-rays on them so that surgical ablation of crippled cells can be performed with much ease. Reducing the size of cancerous cells by chemotherapy, radiation therapy or other methods which debilitate or paralyse the malignant cells by the action of drugs, destroying by focusing on the cells and stoppage of blood supply to them is called “debulking”. 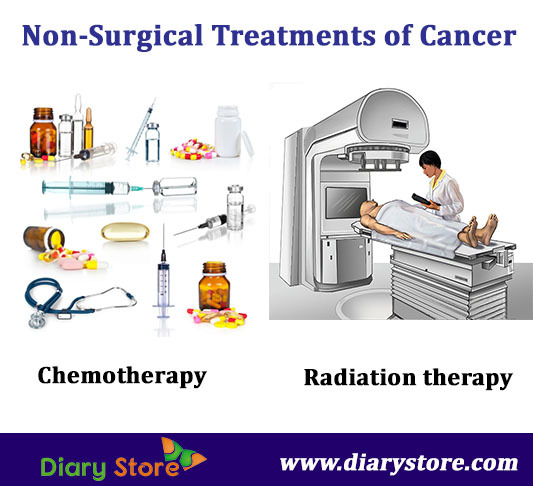 Cancer surgery involves removal of a small margin of surrounding healthy tissue along with the main pernicious mass for ensuring no traces of cancer are left out in the body after operation. Cancer surgery along with non-surgical treatments are also accompanied by palliative care which aims at strengthening mental stamina, rendering emotional support, spiritual guidance to keep the patient psychologically comfortable. Palliative care is supplementary and ensures that basic medical care is given to the terminally-ill patient.